I was 10 when this album came out. It was always around throughout my life. The singles on this album were in heavy rotation on Toronto stations and Much Music. The videos for “Everybody Hurts” and “Man On The Moon” were always on television. That image of Michael Stipe wandering that freeway is permanently associated with the song. It was only a year and a half earlier that Out of Time was released and R.E.M. entered my world. “Shiny Happy People” and “Losing My Religion” were documents of the era. A gentler transition from the prefabricated pop of the ’80s into the grunge and alternative of the ’90s was allowed through R.E.M., rather than the jarring burst of energy from Nirvana. Though this record was always around me, I never bought it. My building has a book exchange. Someone once left a stack of CDs there, and I grabbed myself a free copy of Automatic For The People. It might have taken me forever to have a copy, but I feel I know it so well. R.E.M. have an amazing skill at writing well-crafted addictive pop songs. 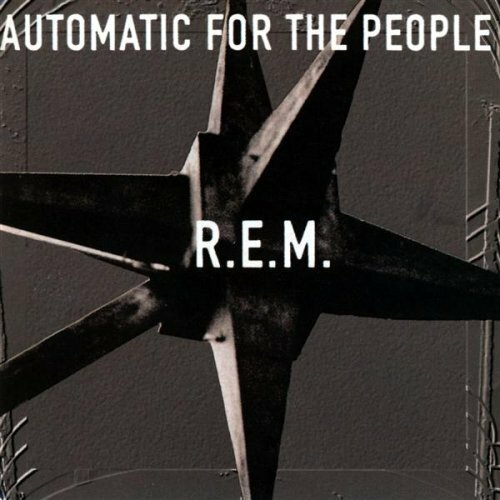 Automatic For The People is amongst their most commercial release. They released six singles from the album, three of which did extremely well on Canadian charts, and the other three did well to great on other charts. These songs stand the test of time, and are rooted in a tradition of great pop music with an easy line of sight to the mastery of Lennon-McCartney. “Everybody Hurts,” “Drive,” Nightswimming,” and “Man on the Moon.” Duh. “New Orleans Instrumental No. 1” and “Sweetness Follows” is a bit of a dull spot on the album. They aren’t bad per se, but they don’t stand out like the rest.